The Big Quiz Thing: Do you want to be a quizmaster? Do you want to be a quizmaster? Of course you do. I mean, take it from me, who wouldn't? Now's your chance…perhaps. 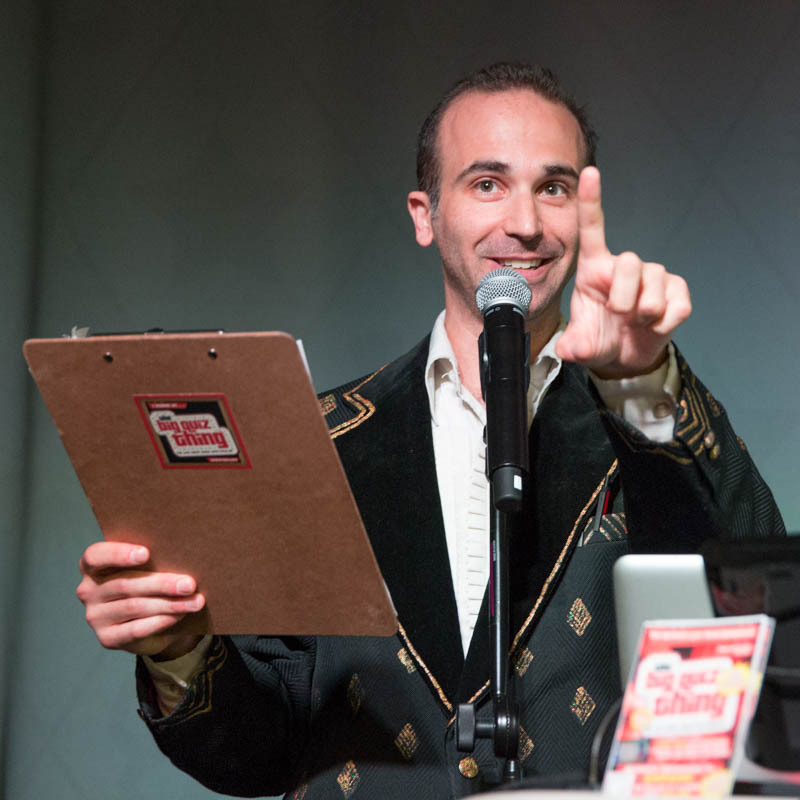 I've recently become acquainted with some of the geniuses behind Geeks Who Drink, a company that produces pub quizzes nationwide and, like the Big Quiz Thing, are working to raise trivial standards beyond jerk-with-a-microphone-asking-boring-questions. They recently debuted in Boston, and will soon be starting up in the NYC area, if not NYC: Hoboken and Jersey City are imminent, and that's where you quite possibly come in. GWD seeks a quizmaster for Tuesday in Hobo and another for Wednesday in JC. Pay is more than zero, plus free drinks and copious glory. And fun! You like fun, don't you? See the application here. I look forward to calling you a colleague. یکی از خوبی های به کارگیری لیزر در درمان هموروئید که خیلی مورد استقبال بیماران است این است که شخص مبتلا پس از عمل سرپایی احتیاجی به استراحت و بستری شدن ندارد و قادر است بدون درنگ پس از جراحی به سر و زندگی اش برود.